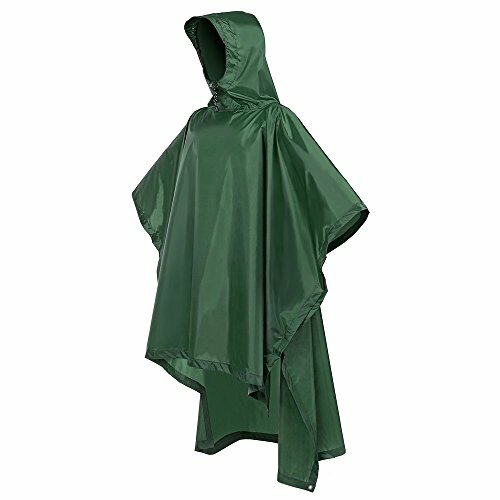 Terra Hiker Rain Poncho, Waterproof Raincoat with Hoods for Outdoor Activities | What Should I Say? The Terra Hiker seamless poncho is capable of repelling water and protects you from heavy downpours. You can even use it as a mat or sunshade to bring more fun to your outdoor ventures! This raincoat will absolutely surprise you by providing you with comprehensive protection. With its roomy and high-density design, you will be safe and sound in all types of rainy weather. You will be even more surprised when use it as a damp-proof mat or sunshade. Extend it fully to use as a mat for a picnic, or use together with an extra rope and stand to create a sunshade for fishing or whenever shelter is needed.